Can one of you pros let me know if this bench is wearing the original upholstery or if it’s been swapped at some point. Looks like the same material that my 93 had on the factory seats I believe it was original. Looks pretty much exactly like the material in my '93 D350. Even down to the color. Why do you think that the material may not be original? My 92 had vinyl piping along seat and back. This one does not. Mine didn’t have piping but they were extended cab bucket seats. 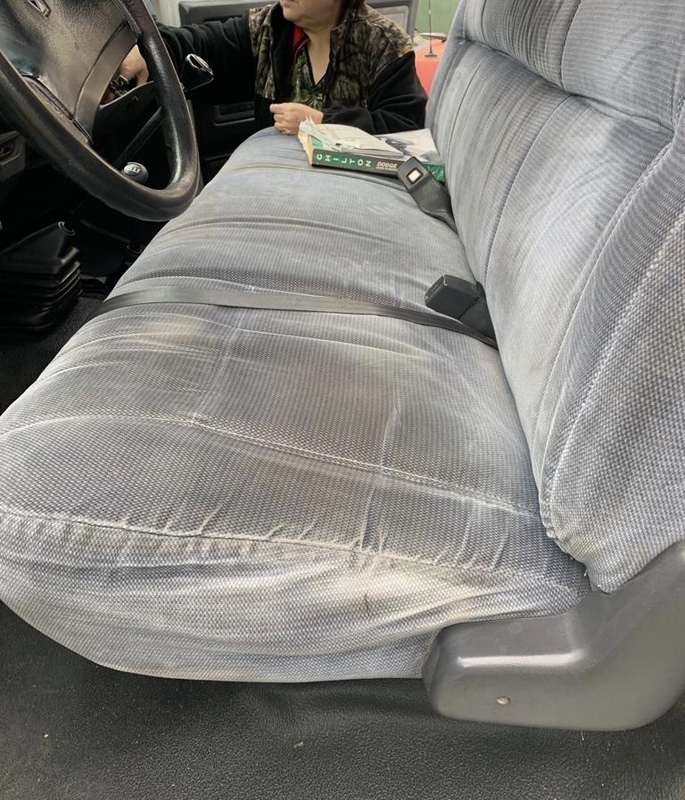 looks like the bench I swapped outa my 93 for buckets outa a 92 extended cab which by the way also have that exact same pattern and material.. the 92 buckets have vinal olong bottom and backs of seat heres a pic, looks like yours might be recovered as the stitching isn't as precise as the factory seat looks.. Thanks for the pic. You know my 92 had a split bench with that exact material. Vinyl on bottom and back. Wonder if the seats were different for each year?